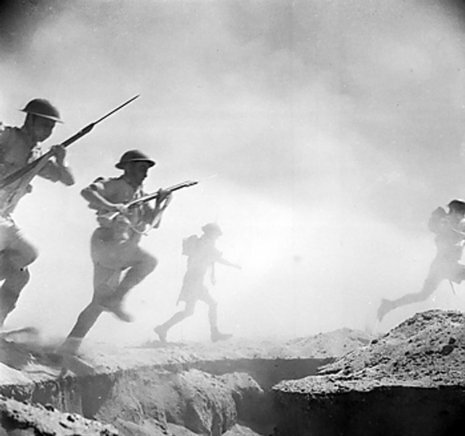 The Second Battle of El Alamein marked a major turning point in the Western Desert Campaign of World War II. 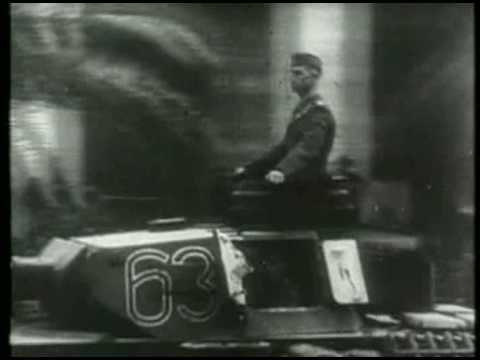 The battle lasted from 23 October to 5 November 1942. 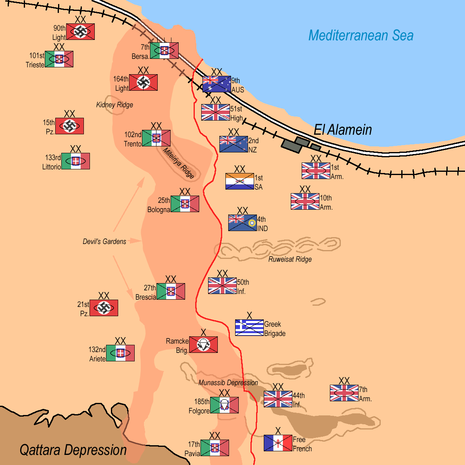 The First Battle of El Alamein had stalled the Axis advance. 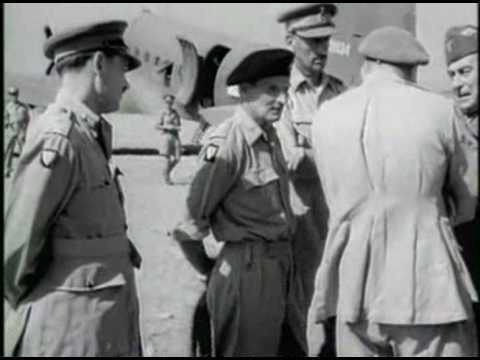 Thereafter, Lieutenant-General Bernard Montgomery took command of the British Eighth Army from General Claude Auchinleck in August 1942. 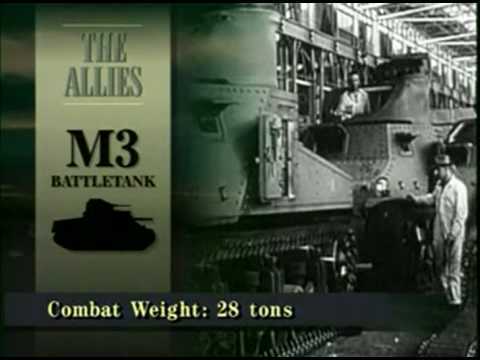 The Allied victory turned the tide in the North African Campaign. 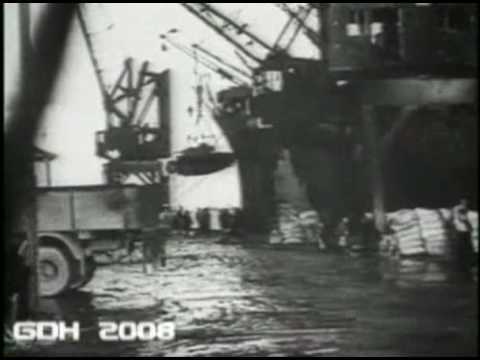 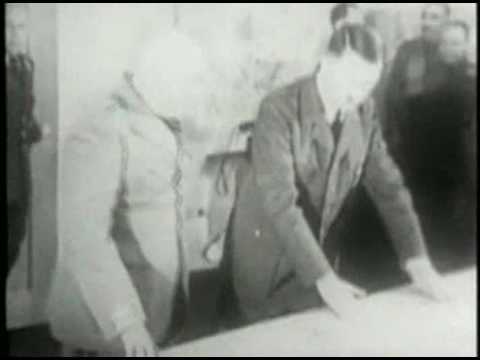 It ended Axis hopes of occupying Egypt, taking control of the Suez Canal, and gaining access to the Middle Eastern oil fields. 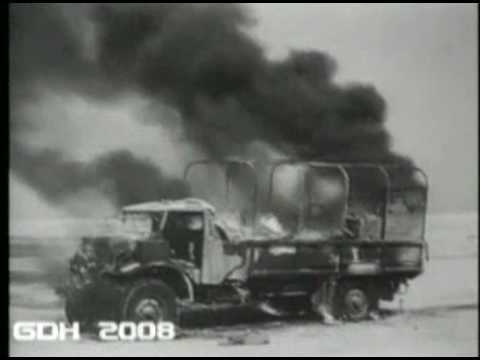 The Battle of El Alamein, from 23 October to 5 November 1942, was one of the largest battles involving the western allies in the whole of the war with Germany. 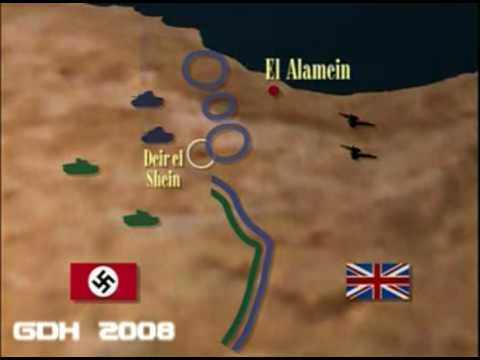 El Alamein was part of the series of battles that saw the British Commonwealth forces advancing and retreating across the coastal plain and desert hinterland of North Africa from 1940 to 1943. 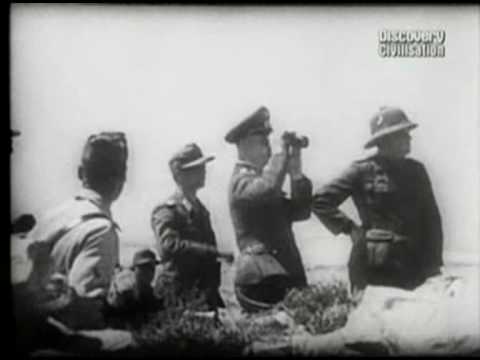 The prize for the Axis (German and Italian forces under the command of the German general, Erwin Rommel) was Egypt and the Suez Canal. 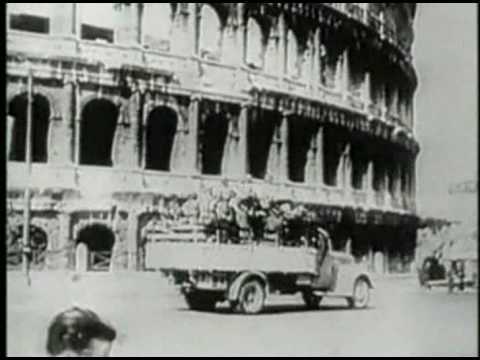 The destruction of the Axis forces in the Theatre was the focus of Allied operations. 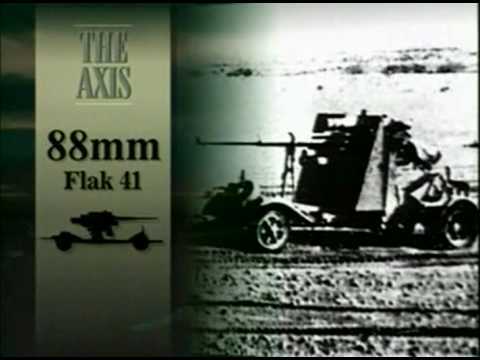 El Alamein was, in effect the closest the Axis came to achieving their goal. 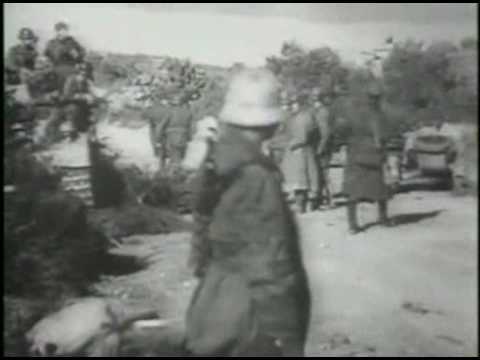 Once that battle was over, the Axis forces were in continual retreat until finally destroyed, in Tunisia on 11 May 1943, by the westward advancing 8th Army and the Allied Forces coming east from the Torch Landings.